If you’ve ever been out on the water, wading through a rapid part of the river, then you know that a good pair of wading boots are worth their weight in gold. 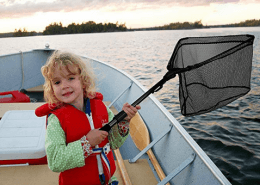 We’ve all seen it, a new angler out on the water for their first or second time, not knowing the limits of the equipment (I’ve been there). They go to walk across a submerged log, a pile of rocks or simply a patch of clay, and what happens…their wading boots aren’t cut out for the job and down they go. Splash! Soaking wet and more than likely embarrassed they go trudging through the woods back to their vehicle to make the wet and uncomfortable journey back home, to think about the events that just happened. Like I said, this has happened to me on multiple occasions (I guess I’m a hard learner). 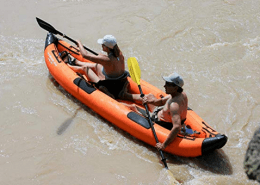 Regardless, whether you’re in need of fly fishing wading boots, wading boots for hiking or you’re looking for information on the best wading boots, we’re here to help. If you’ve been looking for a quality wader boots review, here is our list of the 5 best lightweight wading boots for the money in 2019. You need a pair of long-lasting boots that won’t sacrifice comfort during hours of fly fishing. 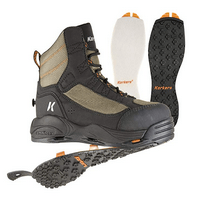 The Korkers Greenback Wading Boots fit the bill. Weighing just 2 lbs. 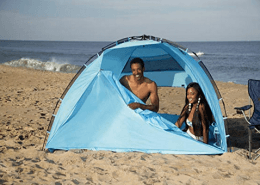 and 7 oz., they are sturdy, lightweight, and made from top-of-the-line hydrophobic materials that dry quickly. This will reduce the spread of invasive species from stream to stream and keep your vehicle’s interior dry during your ride home. The Greenbacks come with plain felt and Kling-On Sticky Rubber soles, a high-friction rubber designed to give you maximum traction both in and out of the water. Whether you’re wading in a pebbled river or fishing from a slippery bank, these boots will hold a firm grip. They are also designed with an innovative internal drainage system that permits water to flow through channels and then out of midsole ports, keeping the boots light so you’ll remain agile. They also include cemented parts with strategic seams, ensuring the boots’ longevity. 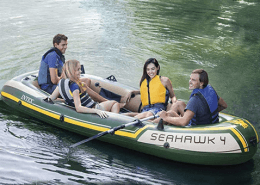 Additionally, the Greenbacks are versatile, featuring the OmniTrax 3.0 Interchangeable System. This will allow you to accordingly fit your soles into any other Korkers 3.0 accessory outsoles. As a rule of thumb when making your selection, go up one size from your usual street shoe size, as these boots provide plenty of room for socks and waders. A serious angler requires an equally serious pair of wading boots. Designed to protect your feet and keep you comfortable, the Hodgman H3 Wading Boots offer some of the best available quality on the market. When you’re battling a fish in flowing, knee-high river water, you’ll need a pair of boots that can stand up to the test. 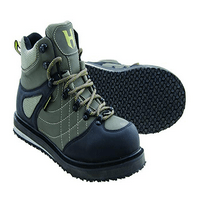 The H3s come with a top-notch felt sole, giving you superior traction in slick environments. A padded collar and tongue will provide you with ample ankle support and a reinforced toe will give you added protection, lowering your risk of injury, these are very lightweight wading boots. These boots also come with features that increase their drying efficiency. They’re made from a hydrophobic, abrasion-resistant material that will last a long time. 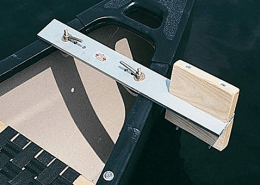 The H3’s side panels have mesh drainage ports, allowing water to escape so you won’t get bogged down when you step back on land. 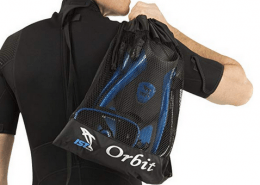 On top of that, they include a lightweight, shock-absorbent EVA midsole – delivering additional stability – and a D-ring gravel guard attachment point. These boots are also able to accept studs, giving you the option, if necessary, to adapt based on your fishing environment. They come standard in a sharp olive and black color combination. 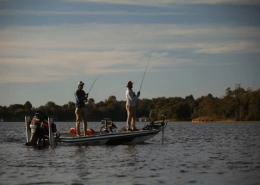 While you’re in the water, your focus should be on only one thing: fishing. You need to be confident in your boots’ toughness so you can channel all of your attention into hauling in your catch. The Frogg Toggs Hellbender Felt Sole Wading Boots will make this possible. These boots are durable, armed with hard rubber toe and heel caps. 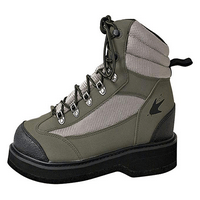 They are thick yet lightweight, and include a hardy PVC and mesh upper, providing you with maximum support and stability in every circumstance making them some of the best saltwater wading boots. The Hellbender’s replaceable, full-felt sole, padded ankle collar and tongue allow for a wide range of movement while offering outstanding support. 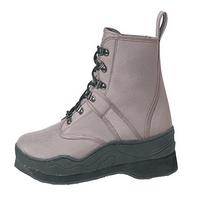 The boots, which come in a green and silver color combination, also include a nylon heel pull, replaceable felt outsides, and an extra-thick PU foam midsole that will keep your feet fresh and comfortable, even after hours of standing. Additionally, the Hellbender boots are designed for efficient use and are easy to take on and off. A heavy-duty lacing system is equipped with riveted speed laces, so you can quickly put them on making them some of the best fly fishing wading boots. Also, the locking upper lace clips will ensure that your boots will stay snugly on your feet until you decide that you’re done fishing. If you’re an intrepid fisherman looking for rugged wading boots, you won’t go wrong with a pair of the Redington Fly Fishing Skagit Rivers. From top to bottom, these good-looking boots are intended to give you exceptional grip and comfort while you fish these are some of the best wading boots for slippery rocks. They have a rubber toe cap built for abrasion resistance, mesh panels for quick water drainage, and a padded collar for ankle support that still allows for a generous range of motion. But one of the Redington’s most impressive features are the two options for soles: felt and sticky walnut rubber. Felt is a material traditionally used in the soles of wading boots. However, this new material – which contains walnut shells embedded in the rubber – helps prevent the spread of Didymo, invasive algae typically found in cold, flowing waters that is easily spread between river systems. These boots are environmentally friendly in addition to their style, comfort, and functionality. And they’re built to last. Each pair comes with deep draw lacing with molded, non-corrosive hardware. Webbing pull loops also make it extremely easy to put the boots on and take them off once your fishing day is done. Weighing 3.6 pounds, these boots are sturdy, durable, and ready to take on any task. Weigh in at 3.6 lbs. Versatility is a key characteristic to consider when selecting a pair of boots, especially when you want them to last a long time. The Caddis Men’s Taupe Felt Wading Shoe are perfect for fishermen who spend time wading in all types of water, from quiet lakes and small streams to strong, fast flowing rivers. These boots are equipped to keep you steady on any surface, including mossy rocks, downed logs, and slick bottoms. 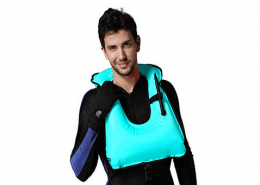 They are made from tough, high-quality polyester material that’s resistant to wear and tear making them cheap wading boots that are high quality. Their reinforced toe and heel offer extra protection, allowing you to focus on what you love. Special insole cushions will ensure that you stay comfortable, so you’ll never have to end a fishing day early because of sore feet. These boots are over sized by approximately a half-size, leaving you room to wear socks, waders, or anything else you might need to keep your feet warm and dry. Like all of Caddis’ wading products, these boots are created with cutting edge technology and thoroughly tested before they hit the market, so you can buy with confidence, some people even call them the best wading shoes. They can be worn by themselves or with a pair of fishing waders, and align well with Caddis’ CA5900W and CA9900W series. So grab your fly fishing reel and rod and hit the water!